Blog Posts Buy A Van Do You Need A Van You Can Stand Up In? A common question when looking for a campervan is “how important is it to stand up in your van?” If you’re coming to this post looking for a yes or no answer, prepare for disappointment! 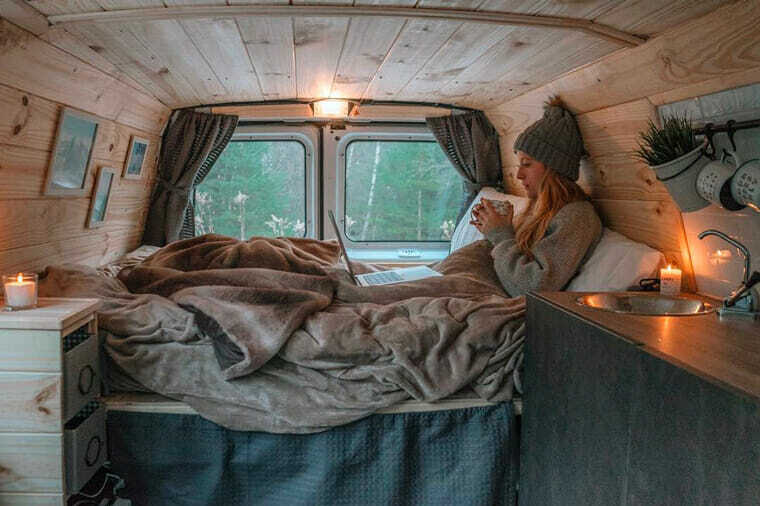 Like anything in van life, whether or not you should buy a van you can stand up in is a combination of your goals and finances. With that qualifier, there are a few points to go over that should make your decision easier. Where are you taking your van? 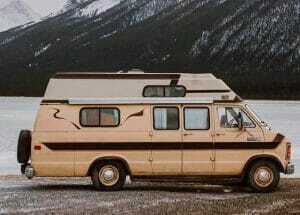 If you plan on spending a lot of time in nature, having a short van might not be that big of a deal. You’ll be more likely to spend time outdoors if you are boondocking or camping. Standing outside to stretch out before bed or to put a jacket on are easier when you aren’t in a crowded area and confined to the van interior. Planning to live in a city? You probably don’t want to hang around cooking your morning eggs on the sidewalk with an outdoor kitchen. When city dwelling, you’ll likely be doing more chores and activities within the confines of your vehicle and will feel more restrained with a short roof. Are you trying to be stealth? This one works both ways. Vans with a standard height generally draw less attention than high top ones. That said, a taller van will allow to stay in your vehicle longer without being noticed. Spending time outdoors is only fun when the weather is nice. Consider how much control you have over these conditions. If you’re stuck in Seattle, that rain is going to constrain you to your vehicle more. Being forced to hunch over for days on end gets tiring. Alternatively, if you have the flexibility to follow the weather you should take advantage of it. A short van will be less noticeable when you have the ability to avoid rain and snow. If you’re van dwelling on the cheap, you’ll find that low top vans are cheaper and more abundant. Because they’re easier to find, you are more likely to grab one in good condition for a reasonable price. Easier to get dressed and cook ect. Rest assured, even if you are 6’2” there are vehicles out there that you can stand in (but it will cost you). 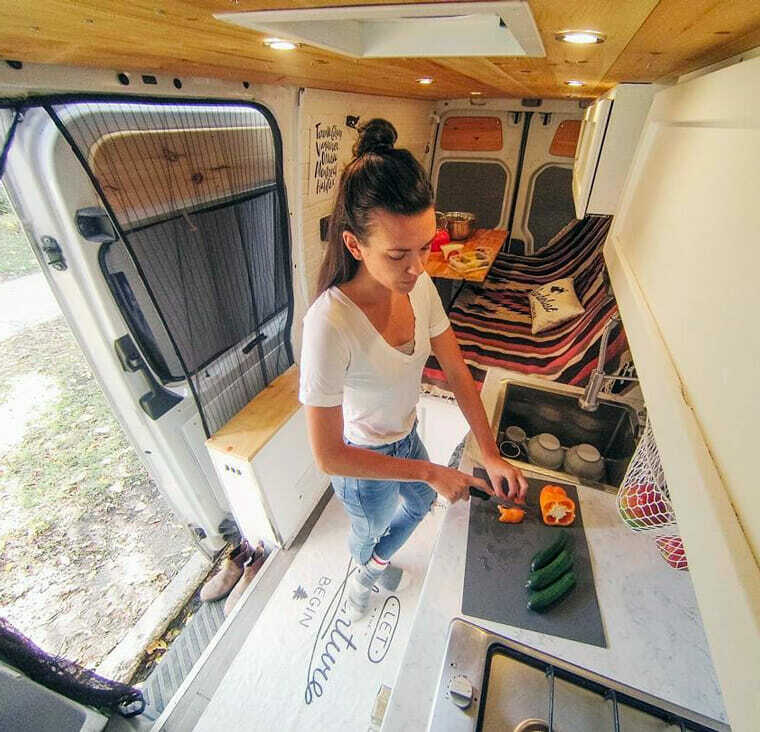 Depending on where you live, being able to build out a conversion van in a climate-controlled garage can be a huge plus. We built our van on an unshaded driveway during July in Phoenix, AZ and I can guarantee you it contributed to a number of arguments and poor construction decisions. If you plan on building a sprinter van outside during a Minnesota winter you’re going to have a rough time. Some cities are better about this than others. There’s nothing more frustrating than trying to find a parking space for a tall van somewhere unfamiliar. Be forewarned, some parking structures will tell you the limit is 8ft. tall and as soon as you drive through the pay window the ceiling will magically drop to 6ft. Just like parking structures, drive-throughs and car washes are something people rarely consider when planning their road trip. A tall vehicle will limit you in some situations. You will constantly have to be on the lookout for height limits during travel. I’m sure this is not on everyone’s list, but once you hit the road – trying to secure a kayak or paddle board to your roof becomes a huge pain! We’ve also seen more than one high-top van with a rooftop cargo box and I bet I can count on one hand how often those cases are opened! If you’ve read any of our solar posts, you know that angling panels directly at the sun can give you an advantage when it comes to power. With a short van you have the ability to add articulating frames beneath your solar panels. (I know you can do that this with a high top as well) but the ability to climb up high and adjust panels twice a day reduced. The less time you spend in the van, the less you’re going to notice the height of your ceiling. Adding an awning to the outside of your van will make spending time outdoors significantly more comfortable. An awning can block the sun, rain and snow opening up the indoor space. Bonus points if you travel with a folding chair that packs down small. Perhaps the number one differentiator to your comfort level is the ability to sit up straight. If you can’t stand in your van, you should try to construct an area where you won’t have to lean over to use a laptop or read. This way at least your back can have proper posture for times when you’re confined to the van for long periods of time. Take it from us, sitting on your bed with your legs propped out straight in front of you is not going to cut it long-term. A swivel chair is an excellent way to add seating without taking up space. On a lower budget, a folding camp chair is all it takes to have comfortable seating. We keep a short 12×12” ottoman on-board that doubles as a garbage can and stool. Similar to having seating in a van, being able to hold different positions for longer periods of time makes you feel less restricted in your movement and living space. Inexpensive foam padding from Home Depot or Lowe’s will help save your knees. With a pop-top vehicle you can get some benefits of both worlds. If you’ve got solar or a roof box, it’s easier to access the roof. If not, you are basically at normal height for vehicles and can fit in most garages. They also neatly store your bet away above your head so that you can use valuable floor space for seating and storage. Pop-tops are certainly the least stealthy of the options, but they do great in the outdoors. There’s nothing better for sleeping in the summer than an elevated, breathable elevated mesh room! Nice insights, fun to read. I have an extended f250 I have had a bunk in for years. Not a total build out but “campable”. The perpetual hunch back was aggravating to say the least. Though it is no longer stickered nor registered I still use it in my own woods as a bunk house and good dry tool storage. RE your foam cushion for kneeling: boat seat cushions are fabulous for this. I have newer ones I use in my boat but I have a pair of ancient ones I use working on my own projects and keep one in my utility truck for working on job sites. They have handles which are usually stitched towards one side so it is easy to keep one side consistently UP as the bottom can get smudged and maybe you should not kneel in that. At one time I had marked “TOP” with a magic marker but that faded with use, probably transfered to my knees as “POT”, sort of. I build sleeping cabins, sheds, vardos, huts n hovels all of which one can stand in at least the center but are not stealthy and convenient as the van was.